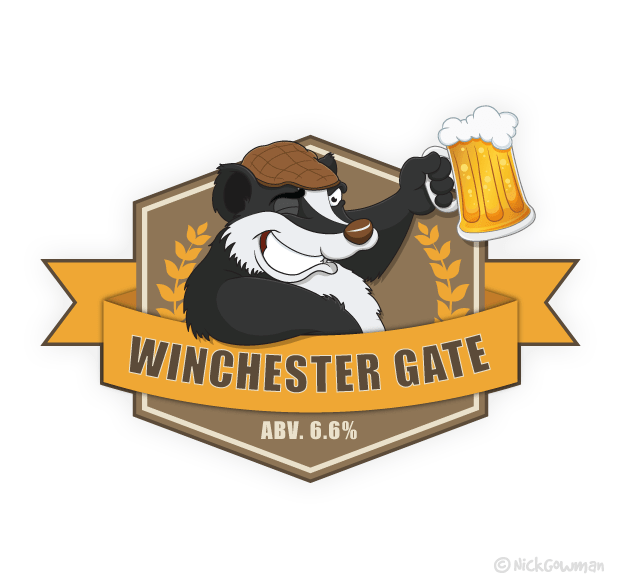 This friendly looking badger cartoon was an entry for a Salisbury pub pump clip competition, where a design was required for their home beer on re-opening night! The landlord is very much a fan of badgers and can often be seen wearing a flat cap, so thought this combination would be a great place to start. I wanted to express a cheeky grin on the badger and a slightly inebriated slant, with him leaning on a banner, containing the beer’s name. I also used a series of different shades and gradients in the beer, to help give it some depth and quality. Then added some bubbles and a healthy, frothy top for good measure! I then topped it off with some earthy tones on a shield behind the main badger character. Sadly, this concept wasn’t used but was immensely fun to do, and turned around very quickly given the tight deadline, but you can read more about the process here.